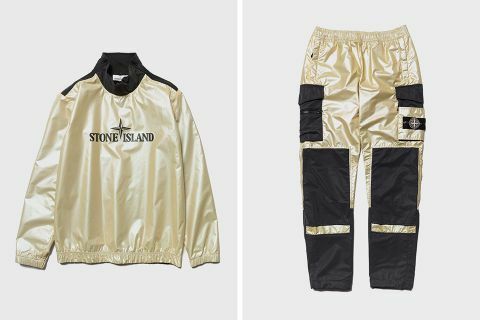 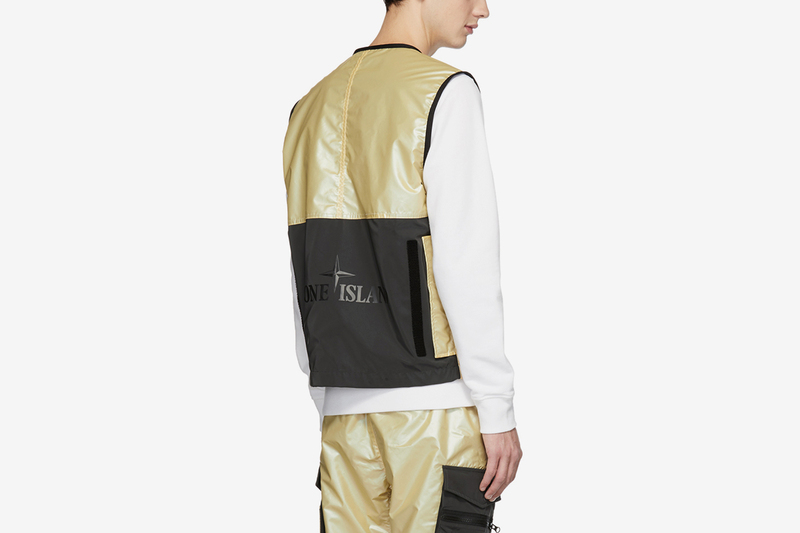 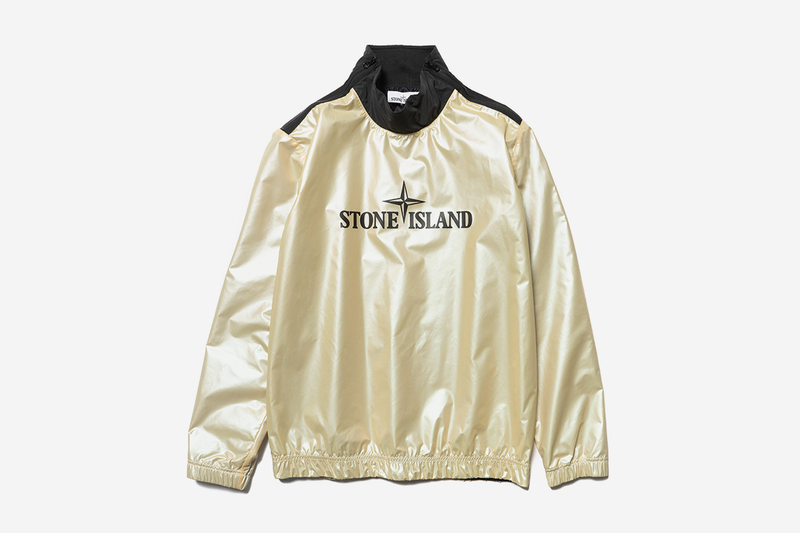 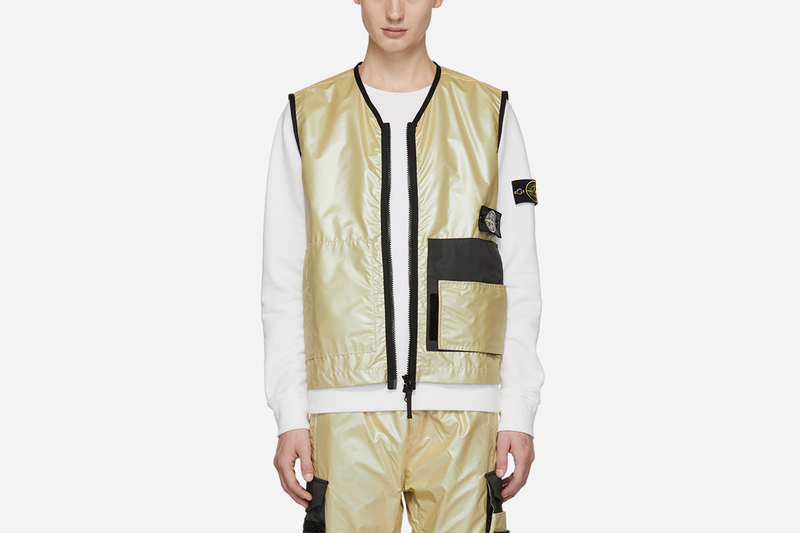 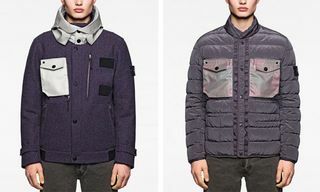 Stone Island’s Iridescent collection dropped in October 2018, made up of four pieces in an applied iridescent nylon canvas combined with a golden pink polyurethane film. 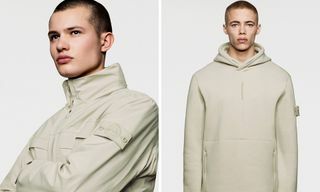 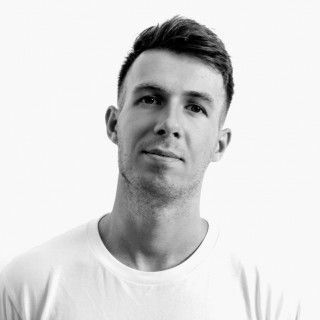 Now, as the winter sales continue to grow, we’ve come across good size runs of every piece, available with big discounts. 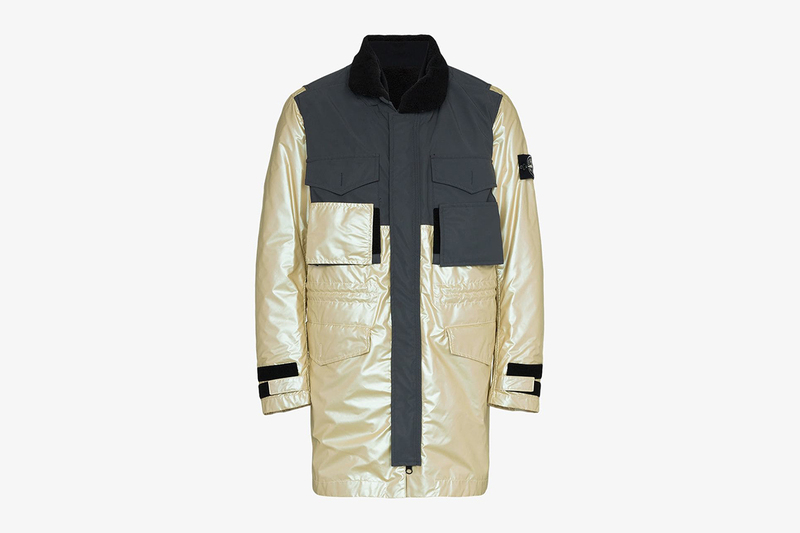 Utilizing the popular Italian outerwear brand’s Tela material, the vest, coat, pants, and sweater each feature areas in reflex mat fabric and black lambswool, for totally unique takes on military-infused designs. 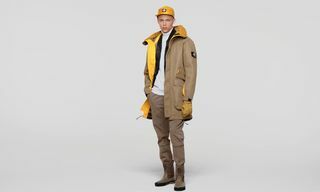 Along with its color-changing thermo-reactive jacket and garment-dyed coats for FW18, the collection was one of many Stone Island grails that came in 2018. 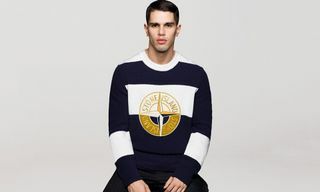 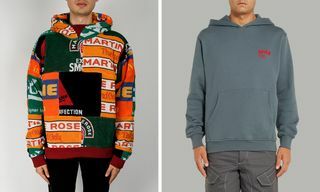 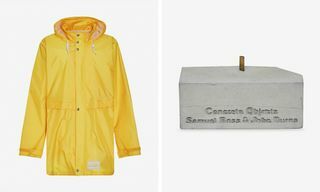 Now, all four pieces have hit the sales of SSENSE, Browns, and Haven — a perfect buy for anyone looking to blow that money from the holidays on something to stunt in all winter long. 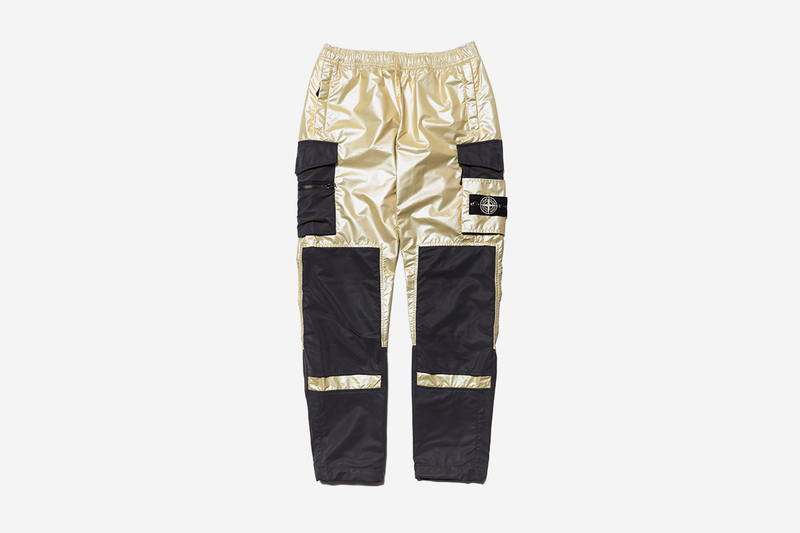 Click through below to shop.